We've been making memories, one happy camper at a time, since 1960. Our Summer Camp program is a real learning experience filled with activities kids love. That's why so many of our campers return every year. 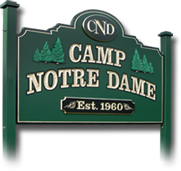 Over the past 50 years, Camp Notre Dame (CND) has established itself as "THE" quality camp in the tri-state area... there is none better! 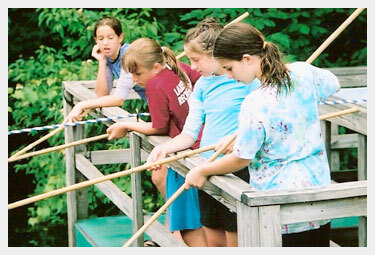 Quality programs, dedicated counselors, knowledgeable instructors for activities, and a dietary staff to keep every camper healthy and energized. 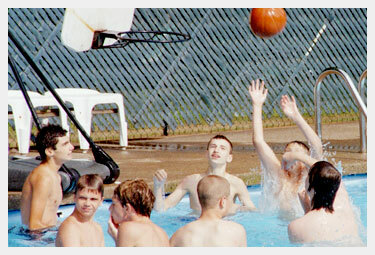 Campers are supervised round-the-clock by an experienced Summer Director and Assistant Director, nurse, staff of 20+ college-aged counselors, and visiting clergy. Several staff from the last few summers will return, and many more will join the CND family this summer! CND counselors are experienced and energetic, and undergo CPR and emergency response training. They're enthusiastic and eager to share with kids the magic of Camp Notre Dame! Make new friends! Campers stay in all female/male cabins with kids the same age. 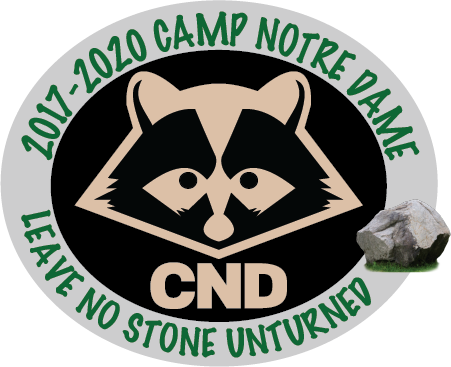 This year Camp Notre Dame will be offering Two weeks of OLDER CAMPING for those young persons who just can't get enough of a good thing. The Older Camper program for 15 and 16 yr olds run concurrently with the 7-14 yr. old programs, but has its own schedule, its own staff and new and exciting activities. Stay up later and have more fun . . . This year Camp Notre Dame will again offer Two weeks of C.I.T. Programs for 17 yr olds who have completed their junior year of high school, have previous camp experience and would like to learn how to be a camp counselor and "graduate" to the next phase of camp life. A perfect balance of leadership training, experience with campers, and fun is sure to make this week "a vacation to remember". The C.I.T. program runs concurrently with the 7-14 yr. old programs, but has its own schedule, its own staff and exciting activities. CIT program applicants will be asked to provide a letter of recommendation from a school official, member of the clergy (or equivalent), employer or a past CND counselor.